A lawyer in the U.K. says developers who allow gameplay footage to be posted on YouTube may be waiving their right to take action against future cases of copyright infringement. 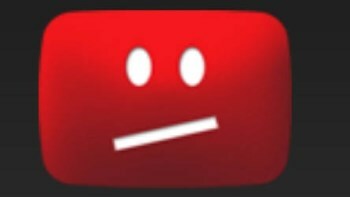 YouTube is a mess right now thanks to recent policy changes that allow copyright holders to lay claim to videos that include just about any amount of gameplay footage. That, obviously, has taken a huge toll on people who make such videos, some of whom are pretty big names in their own right. Jim Sterling covered the topic quite nicely in last week's "Copyright War" edition of the Jimquisition, but the abbreviated version is that ill-conceived YouTube policies and out-of-date copyright law are crashing headlong into new media, and the makers of that media are suffering for it. Game publishers are generally seen as a villainous force in all this, but according to lawyer Kim Walker, a partner at U.K.-based law firm Thomas Eggar, they may feel pushed into it. "Posting video clips without the copyright owners' permission is copyright infringement," she told VG247. "In allowing gamers to promote themselves with footage informally, and by announcing this to the press, developers may be waiving their right to take action for infringement against these or other YouTubers if the content is used in a way they don't like, unless they have clearly reserved their rights." She added that licensing agreements would be one possible way to protect all involved parties, "but there will likely be a cost to administer the scheme and so may not prove popular." I'm not a lawyer and the ones I watch on television don't often deal with the minutiae of copyright law, but Walker is and thus her opinion should probably be given at least some degree of credence. It doesn't absolve publishers who take a slash-and-burn approach to copyright claims, but if nothing else it demonstrates that it's a complex issue, with plenty of blame to go around.